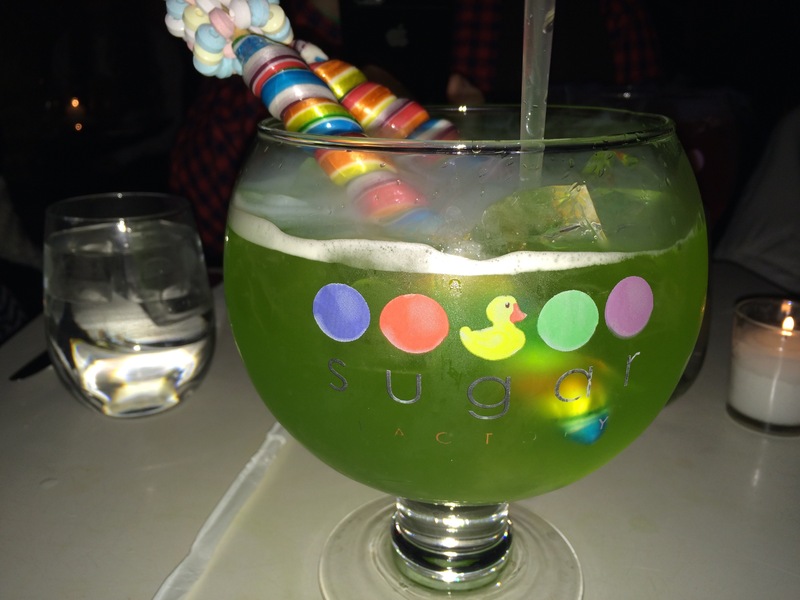 I really enjoyed dining at Sugar Factory!! Reservations on OpenTable were booked up for weeks so I settled on a Thursday evening reservation. 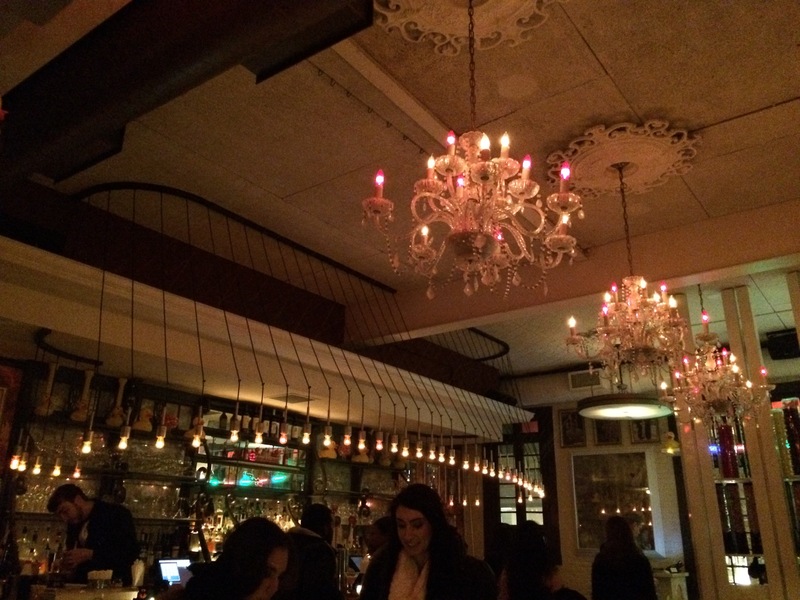 It is located on Gansevoort ave in NYC(Meatpacking District). We found parking easily on the street. When you first walk in, there is a little candy shop. The restaurant is very small and tight! So be prepared to be pretty close to the people dining next to you. Other than that service was great and food was delicious! I ordered the lollipop passion goblet, their signature drink! 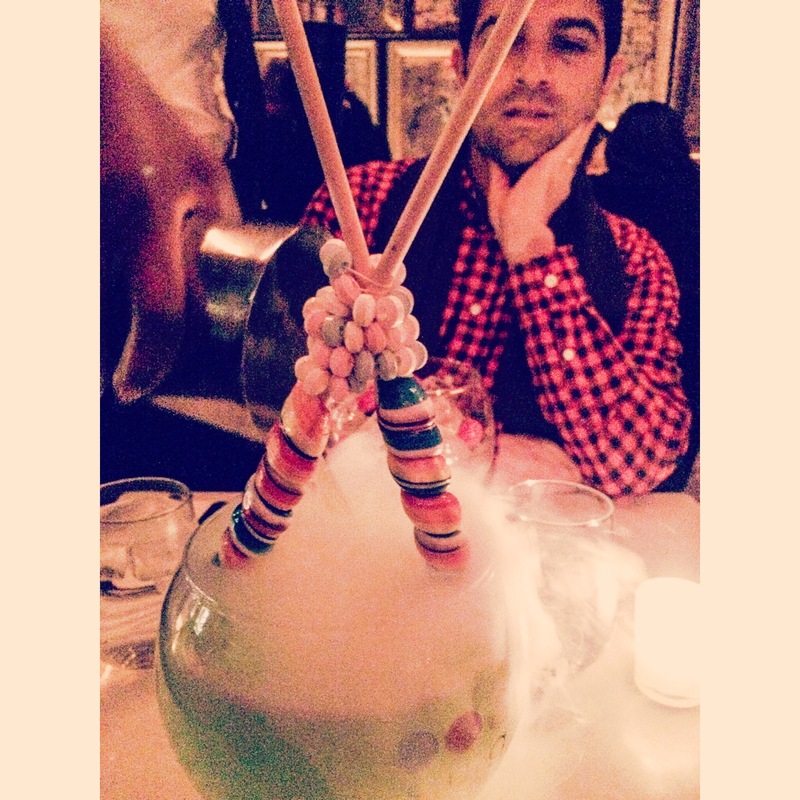 They stick lollipops in it along with dry ice to give it that cool smoky effect. 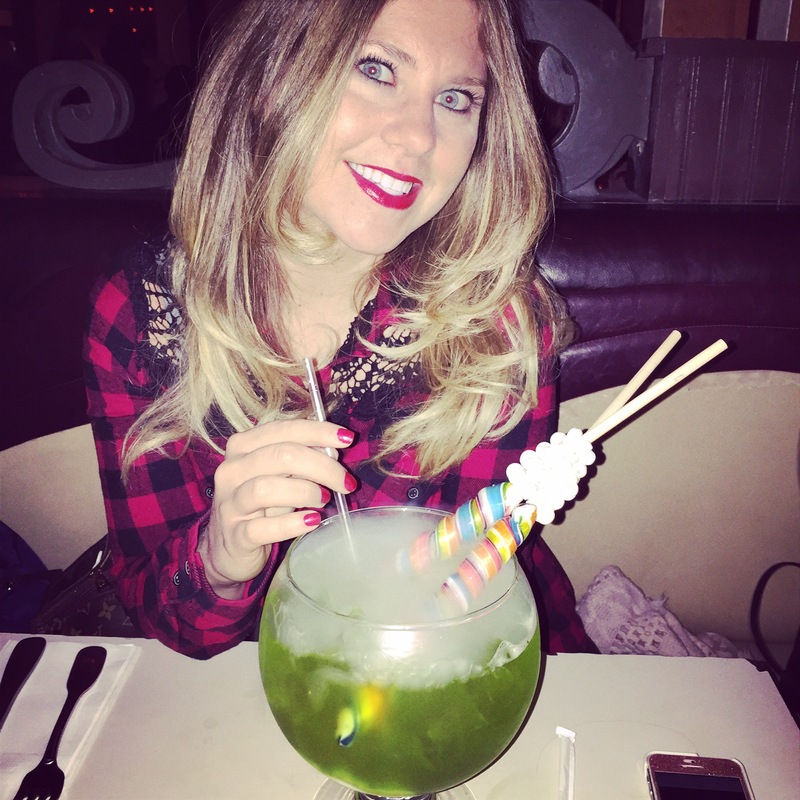 (They even give you a lil plastic bag to take your lollipops to go)The drink was pretty sweet but there is plenty of alcohol in it. (It sneaks up on you.. Proceed with caution)We ordered Mac and cheese pops for appetizer that came with a tomato soupish dipping sauce. It was very good! 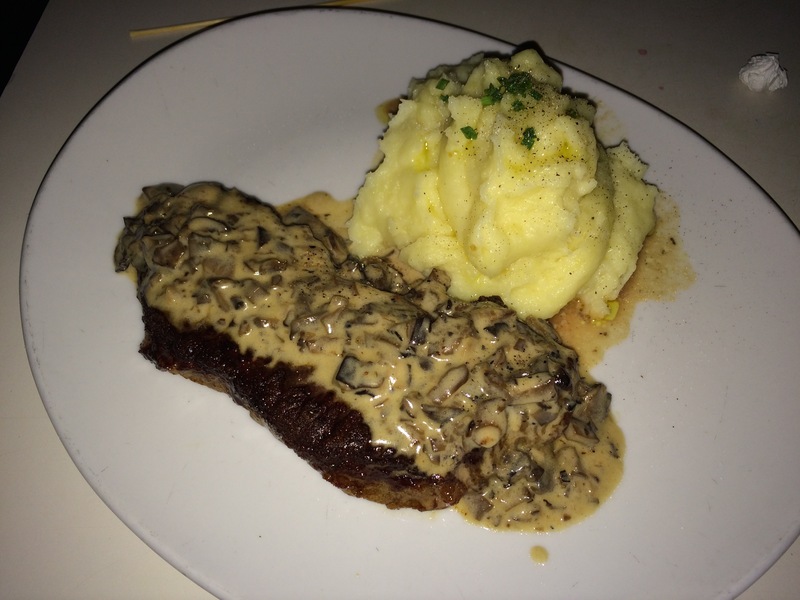 For entree I ordered the NY Strip (cooked perfectly medium-well) topped with mushroom gravy served with creamy Yukon mashed potatoes. 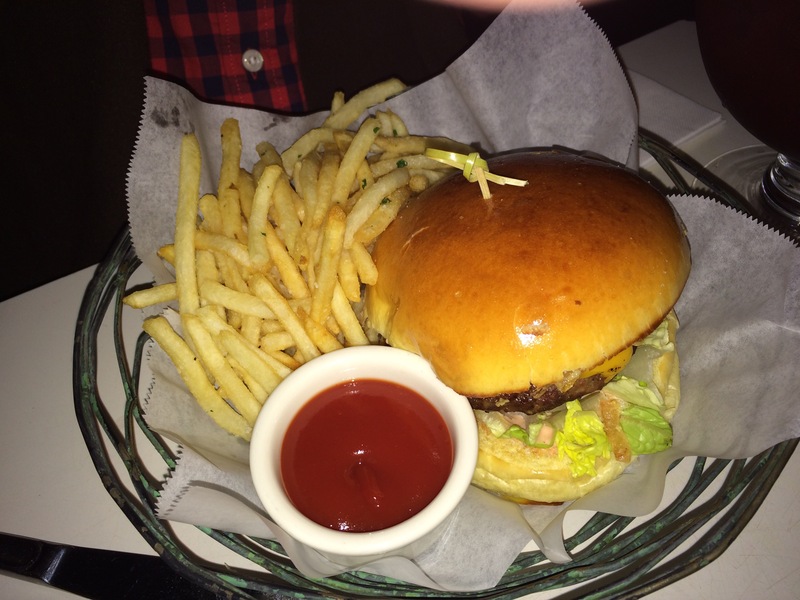 Then my hubby got the signature burger that came with the most delicious french fries! Food was much better than I expected. We did not order dessert because we were stuffed! However, there were tons of birthdays going on with gorgeous looking desserts and sparklers stuck in them! It’s safe to say I will be returning for my birthday this summer.